As the first snowflakes of the season appear in Rochester, I replace the kids' shovels, buckets, and soccer balls with sleds. It is time to acknowledge that winter is coming and this will unfortunately NOT be the first winter with no snow and warm weather (a girl can dream, right)? 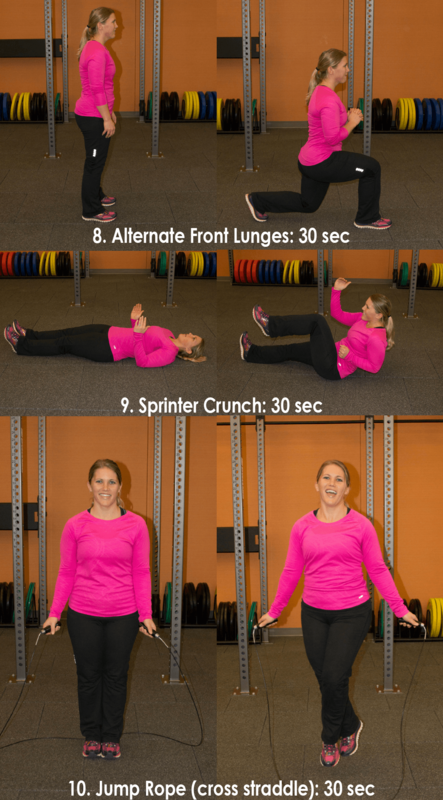 Then, continue with this circuit of 10 moves and repeat two times with a 30 sec rest in between. 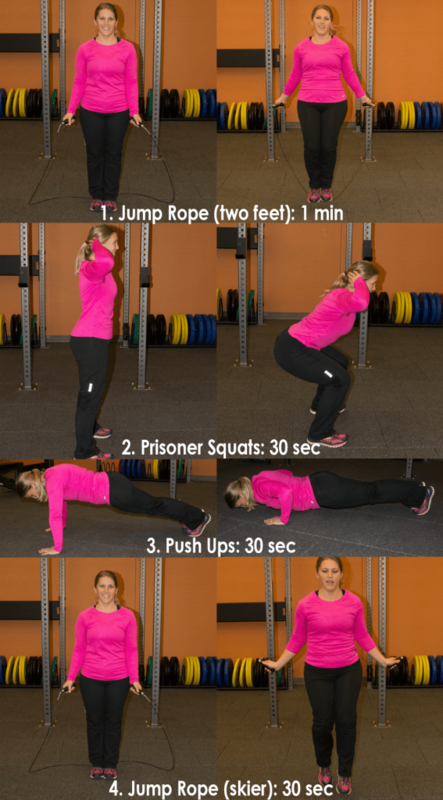 Finish with the jump rope for this cardio burst one time through and then it is time for a cool down. Cool down: start with a march in place until your heart rate decreases and then stretch for 5 minutes. 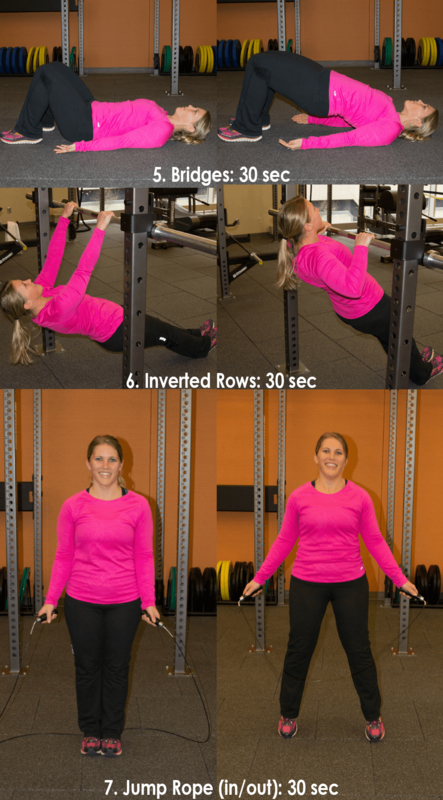 Keep reading our blog for more workouts!